Time Trial is an expansion of a previous project where I was experimenting with Time Stopping as the main mechanic. It began with simple movement and positioning puzzles where the Time Stop was mostly used as a timing mechanism. As development went along, I began experimenting with projectiles as freezing time after throwing or shooting objects is a natural way to immediately see the difference in time state. One day, I made the mistake of keeping the collision and kinematic properties of the projectiles toggled on, which resulted in the player being able to jump on top of the projectiles. I took that idea and further developed it into what is shown in the Demo Reel. I focused on making sure that all aspects of visual, aural, and mechanical feedback worked to reinforce the sensation and feel of time stopping in some way. I learned a lot about how small tweaks to the mixing of the audio, camera effects, and visual transitions can all work together to become an experience greater than the sum of their parts. Please try out the current build! Keyboard Clutter was the result of experimenting with a computer keyboard focused dexterity game. I wanted to play around with prior knowledge most people have of the keyboard home key positions. The game requires the player to press letters on the keyboard in one of three different ways. 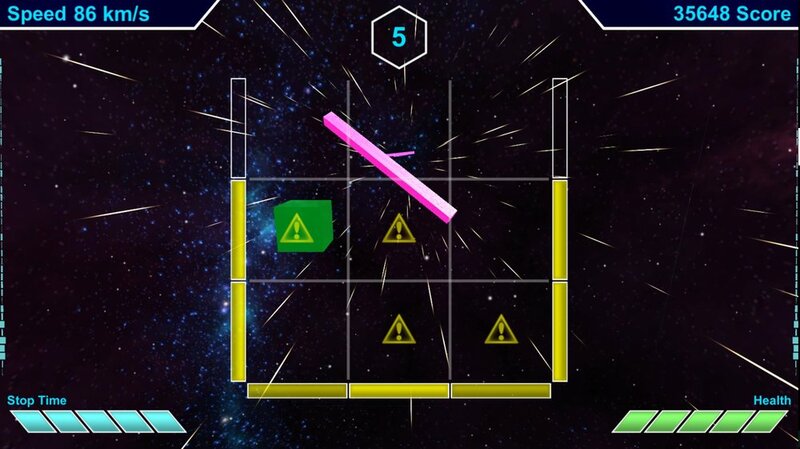 If the player hits a key that isn't on the screen, releases a Blue key too early, or gets the timing of the Green key wrong, there is a time penalty. The goal is to score as many points as you can before time runs out. This fairly simple concept taught me a lot about UI/UX, playing with players' preconceived ideas, and also the fact that certain versions of windows limit the maximum number of keys that can be detected as being held down at a given time. The game can only have one Blue block show up at any time, because when I tried multiple blue blocks the inputs stopped reading entirely! Faces was an exercise in whiteboxing and overall level layout. In order to steer the player toward the direction I wanted them to go, I had to play around with sight lines, terrain placement, lighting, and sound as potential tools for guiding the player. I intentionally tried to make the sound effects and visual style ominous to match the uncomfortable feeling of having mysterious faces watching you. This project utilized many types of "rooms" to guide the player. Hallways, slopes, valleys, and blocking out the environment both in internal and external areas was explored. It was key to take into consideration the perspective of the player, and much of the time spent on the project was making slight adjustments to make sure all sight-lines were clear. The direction that the player needs to go next was always visible and directed. Into Dodge emphasizes competition between two players going for a common goal. Both players move automatically toward the center in a mirrored arena. Picking up Green Diamonds builds up charges for a super attack which shoots all the cannons on the opposing player's side. Players must manage dodging the red bullets and using their periodically regenerating Shields to try and pick up as many Green Diamonds as possible. If a player is able to get all the way to the center, they gain 20 points which can give them a huge lead. I was able to play around with symmetric (but mirrored) gameplay between two players. I came up with the funneled shape of the arena to make dodging harder the closer any player got to the center, as there is intrinsically less room to maneuver and dodge. I also got to experiment with ideas for what to do if any particular player got too far behind in points. If a player is very far behind, a smokescreen power up can be picked up that obscures the opposing player's side of the screen. Because the gameplay focuses on dodging, it seemed like a good way to give the losing player an advantage while not taking away control and affordance from the leading player entirely. Space/Time is an infinite runner that has a dynamically scaling UI that portrays less information the better the player is doing. This was an interesting project, as it was my first time working on an infinite runner type of game. We learned a lot about how doing a 3rd person infinite runner on multiple planes was extremely hard to communicate. Many early versions of the game were scrapped because it was just too unclear on if the player was going to get hit. We ended up using a grid to both block out the movement and give the player an idea of what areas of the screen were safe or not. I also had an opportunity to compose some music for the game. I whipped up a fast-paced, upbeat track that matches the energy level that was envisioned for the game.